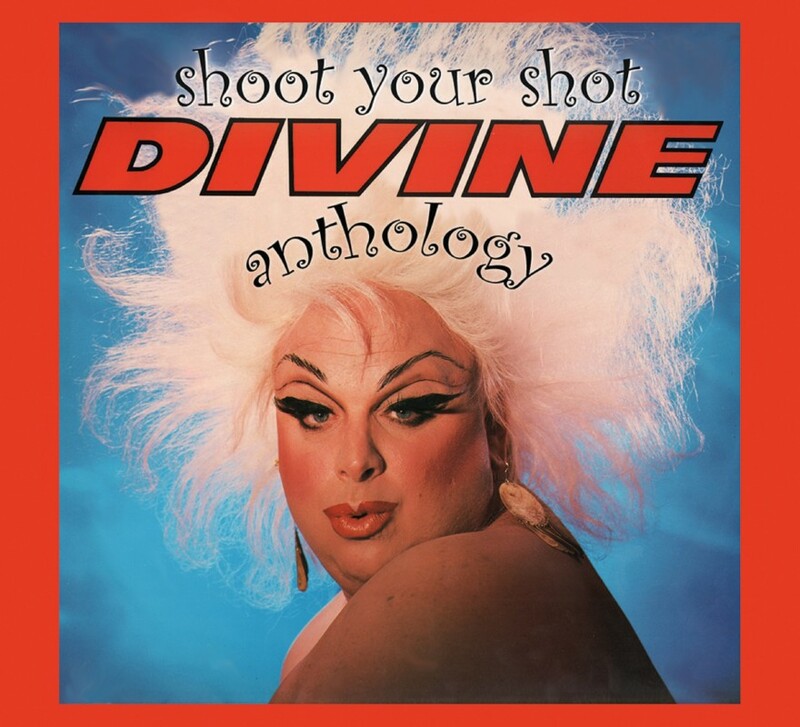 Shoot Your Shot – The Divine Anthology is the definitive anthology of an artist who became one of the most sensational cult stars of the 1980s, making this beautiful digipak release a must have for all Hi-HRG, Disco, Dance and Pop fans out there! • Almost 30 years on from his untimely death, Divine undoubtedly contributed to the LGBT narrative contained within pop culture in that time. His consistently fluid (and of course lewd) representation of sexuality and gender challenged the theatrics of 1980s pop music within his mainstream success. Created in collaboration with ‘Pope of Trash’ John Waters, Divine was a brash, confident persona who encouraged self-love within every aspect of his work, a central theme that has maintained his cult status ever since. After the success of his partnership with Waters, Divine would branch out with New York performer/producer Bobby O to launch a musical career that boasted a dizzying angle on Hi-NRG. • Divine’s first charting single ‘Native Love (Step By Step)’ (NL #28) remains one of his most frenetic hits. ‘Shoot Your Shot’ (DE #15/NL #7) is Bobby O’s brassy brand of club music mock-sexualised at full tilt. ‘Love Reaction’ (UK #65) gloriously appropriates New Order’s ‘Blue Monday’. • Song writing/producing trio Stock, Aitken & Waterman continued the success of hi-NRG synthpop, giving Divine one of his biggest hits in 1984’s ‘You Think You’re a Man’ (AUS #8/NL #32/UK #16) and ‘I’m So Beautiful’ (GER #38 / UK #52) which is perhaps most reminiscent of Divine’s earlier work with John Waters. ‘Walk Like A Man’ and Twisting The Night Away continued the hit streak and kept Divine in the spotlight before his untimely death in 1988. • Shoot Your Shot – The Divine Anthology is the definitive anthology of an artist who became one of the most sensational cult stars of the 1980s, making this beautiful digipak release a must have for all Hi-HRG, Disco, Dance and Pop fans out there!